Honor Grenville’s life is almost a microcosm of an elite Tudor life – twice married, with numerous children and step-children, she managed great estates, corresponded with courtiers, promoted her daughters to the Queen’s household and saw her life crash around her ears at the whim of the King. Honor’s journey took her from the far west of Cornwall to Calais and back again. She lived in country manors, royal castles, and garrison towns. The Lisle Letters provide us with a fascinating insight into the life of Honor and her husband, Viscount Lisle. The letters touch on every aspect of life, but particularly the endless legal complications attendant on ownership of vast estates, and also the importance of having friends in high places. 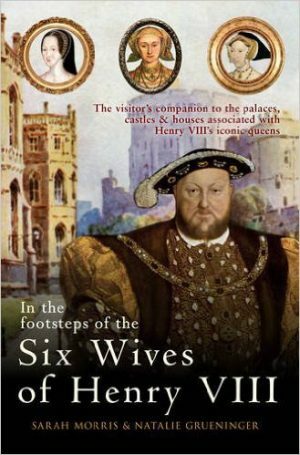 There are no biographies of Honor, so this month we have reviewed 'In the Footsteps of Henry VIII’s Wives' as many of the places covered, including those in Calais, were known to Honor and her family.